In practice we have tacitly agreed, as a rule, to fall back on what is, in truth, a convention. The essence of this convention ... lies in assuming that the existing state of affairs will continue indefinitely, except in so far as we have specific reasons to expect a change. In other words, people tend to assume that things will continue much as they have in the recent past and base their estimates of a security’s value on this. Keynes explicitly calls this a convention, and in my terms this is a lay theory of financial value: the value of a stock is the net present value of the long term income stream we would expect if things carry on as they have done in the recent past. those newspaper competitions in which the competitors have to pick out the six prettiest faces from a hundred photographs, the prize being awarded to the competitor whose choice most nearly corresponds to the average preferences of the competitors as a whole; so that each competitor has to pick, not those faces which he himself finds prettiest, but those which he thinks likeliest to catch the fancy of the other competitors, all of whom are looking at the problem from the same point of view. In the context of investment, what this means is that investors try to anticipate how other investors will value an asset, and then buy those assets that they expect to go up in price on this basis. Although Keynes himself does not use the term convention in this context, we can think of this as another financial valuation convention: the value of a stock depends on the price we expect other investors will be willing to pay for it in the short term future. 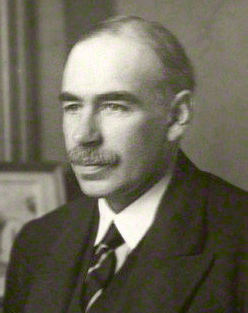 André Orléan links Keynes’s work to the economics of conventions in his recent work on financial markets. He sees value as depending on personal judgement and mimesis, which refers to influence from others and a tendency to imitate others: people tend to think that something is valuable when they see that others think it is valuable, and therefore pay careful attention to other people’s valuations. There is a close parallel here to Keynes’s beauty contest metaphor, but he generalises the argument further. People do not only pay careful attention to other people’s valuations but also to the principles that other people use to make their valuations. In The Empire of Value he argues that these principles can stabilize a market if they become widely accepted - if, in other words, they become valuation conventions. Investors can then use such conventions to predict other investors’ valuations, thus simplifying the process of anticipating market movements. If enough people accept the convention and make their buying and selling decisions on the basis of it, those predictions will tend to be accurate, which in turn sustains belief in the convention, although the convention may eventually break down. Orléan illustrates the argument using the Internet bubble on the US stock exchanges, which burst in 2000. The bubble was based on the convention that Internet companies could be valued on the basis of the number of visitors they attracted to their web sites, in the belief that they would eventually be able to find a way to make money from those visitors, and this convention was used to value even companies that were making a substantial loss and had no clear plan for turning this into a profit. At a certain point in 2000, however, enough investors doubted this convention to cause the price of Internet stocks to drop, and once others realised that the convention was no longer holding the bubble burst and prices tumbled dramatically. From a more sociological perspective, Jens Beckert has developed an overlapping argument in his book Imagined Futures. Beckert argues that under uncertainty people develop “fictional expectations” - fictional, not in the sense of being false, but in the sense of taking the form of speculative narratives, stories that we construct in the absence of a firm factual foundation. Although these fictions describe an inherently unknown future they are often treated as if they were reliable. Beckert goes beyond Keynes and Orléan in examining the social causes and the politics that lie behind these narratives. There is a politics of expectations and there are considerable rewards to be had by shaping the expectations of other actors. Charles Smith illustrates the point nicely in Success and Survival on Wall Street with his account of the various narratives told by stockbrokers to persuade their clients to buy and sell stock, with the result that the broker earns a commission. Like Orléan, Beckert is looking more widely than just financial markets, but he does also apply his argument explicitly to the financial sector. “Financial markets,” he says “... are ‘markets in stories’. Stories turn fundamental uncertainty into confidence”. Financial markets depend completely on collective beliefs about financial value, and those beliefs themselves come from narratives produced (to serve their own interests) by a broad range of actors, including the companies and governments issuing the securities, investment banks, analysts, ratings agencies, stockbrokers, influential investors, the media, academics and governments. And the most successful of these stories become valuation conventions – a term that he adopts directly from Orléan. The lessons from the conventions literature are clear: financial value depends on conventions, which are specific to particular markets and historical periods, rising in influence when they secure the support of significant groups of market actors, and falling when they cease to predict prices reasonably accurately.